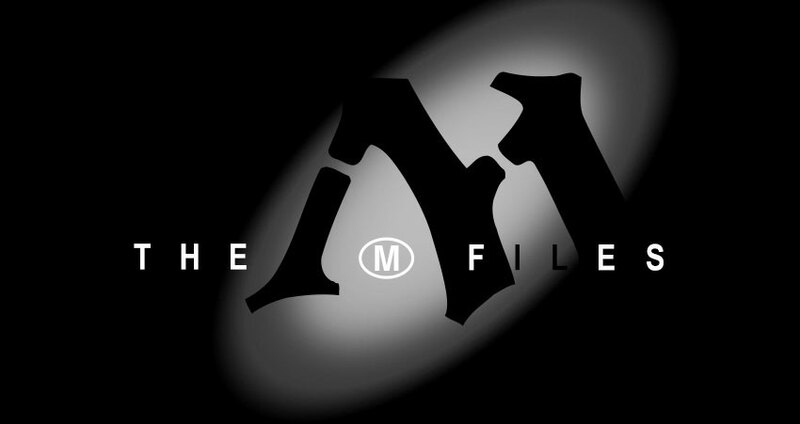 The M-Files are back, and so is Ravnica! Today, we lift the curtain and get to peek behind the scenes at the design, development, and everything in between for Guilds of Ravnica. Magic R&D members are encouraged to make regular commentary on cards as part of their daily responsibilities. Those comments are stored in Drake, formerly called "Multiverse," and then transported through space and time directly to your computer screen here in this very article series! Due to Ravnica's unique properties, we will be splitting up the distribution of colors a little differently than normal. Today will feature all monocolored cards, while next week's installment will be focused on multicolored cards only. If you want to know who is commenting on today's selection of cards, click below. DOUGB: This card (as Pegasus Courser) is common in Dominaria and Core Set 2019, FWIW. NKM: Actually, just the same as Pegasus Courser now. Will it be acceptable to have a common and uncommon version in the same Standard? ALLI: If we're making a new card and not just reprinting Pegasus Courser, can this one's trigger be unable to target already-flying creatures? NKM: Now slightly different from Pegasus Courser. Only gives flying to creatures without. Pegasus Courser has flown a bit too close to the sun lately, and its true power has been realized, elevating its status to uncommon. With the opportunity here to make a new, similar version of the courser at a higher rarity, Alli asked if we could get the trigger to target only creatures without flying. This might seem like a peculiar question to ask, except that it prevents Roc Charger's trigger from creating extra unnecessary clicks when attacking with other fliers. A minor but easy quality-of-life improvement. NKM: Does this card take attention away from mentor? EVL: It is something to consider, but I think permanent counters are sufficiently different. TABAK: Changed from 3W to 2WW per Erik to better communicate it's for heavy white decks. NKM: Changed to match template. No need to say "CARDNAME and other" when everyone gets a bonus. One thing to consider when filling out commons and uncommons is to make sure you aren't designing effects that make your main set mechanics look unattractive. Here, Nat was concerned that Inspiring Unicorn's team-pump ability would entice players enough that it made the brand-new Boros mentor mechanic seem silly by comparison. A worthy concern, but ultimately, it was determined that permanent counters from mentor and temporary pump from the Unicorn were sufficiently different. Good looking out, Nat! MR: We talked about white caring about power and not toughness when destroying things. Caring about toughness feels like direct damage. EVL: I would like to play with this card in Constructed before concluding discussions about the color pie. ID: In a recent color pie meeting, we agreed that white can care about power or toughness or converted mana cost. The colors of Magic are extremely important, and taking great care in making sure we don't blur the lines that separate them is something designers have to constantly keep in mind. Despite the five colors being constant throughout Magic's history, they have evolved over time. Mark's concern about white's ability to destroy creatures of varying toughness is certainly valid. As it turns out, white caring about the sizing of a creature is really what matters, be it power or toughness or cost! ABRO: Added 1 toughness per off-site meeting. DSJ: Hereby referred to as Wisconsin Crab. ELI: I don't see any cheese in the art, I'm not sure if you can do that. Some cards are beloved for their power level, others for their deep ties to lore. But some, like the Wishcoin Crab here, are held in high esteem for the ability to easily slap on a funny name and constantly annoy your coworkers during test drafts in the pit. Both Donald and Omik, superintendent of waterworks, had a blast with this one. TABAK: Should last ability be whenever a Gate ETBs under your control? YS: Really spicy. I'm excited by a powerful build-around for a deck with a very accessible mana base. KEN: Does gatefall prevent us from printing a card named "Agate"? ALLI: Doubtful. Nobody thought Gatecreeper Vine could get another Gatecreeper Vine. Not often do we see a card that is part spicy and fun while inspiring comedy. Both Ken and Alli were killing it in the development comments with their "Gate" jokes. Hopefully, Eli doesn't have to take extra care in the official release note FAQ section to make sure Gatecreeper Vine doesn't trigger Guild Summit. KEN: Now bounces a permanent if you scheme correctly. Can bounce itself. ELI: Here's another version if you'd like to get away from the cast trigger: "When CARDNAME enters the battlefield, scheme 3, then you may reveal the top card of your library. When you do, return target permanent with the same converted mana cost as the revealed card to its owner's hand." EEF: FFL suggests "converted mana cost X or less." Shouldn't be able to bounce itself. EEF: FFL meeting suggests 3/3 scheme 4. ABRO: Now bounces creatures regardless of cost instead of nonland permanents with cost X or less. You can also bounce your own creatures, itself included. JDR: Weird to cast this on an empty board. Also a little weird to cast 4UU Scheme 4 Buyback. ABRO: Back to not bouncing self. EVL: 4/3 -> 3/4, now bounces opponent's nonland permanents instead of just creatures. NKM: Confirmed that reflexive trigger is desired in deskside conversation. ELI: The extra trigger word separates the actions so you don't even pick a target until after you've surveilled. It's a somewhat new thing; it appeared on one Amonkhet card and then picked up in Core Set 2019. This one took a bit of work. Luckily, the initial design had many moving parts that could be adjusted to shape the card into what you see today. On the inside, we call these "knobs." Power, toughness, mana cost, numbers in rules text, variations on targeting restrictions, etc. Dream Eater was ripe with knobs, and as you can see from the comments, they were turned quite a lot! MDT: Awesome name and design! DSJ: Do you even scheme, ABRO? YS: I am constantly surprised this doesn't have a mana activation cost as part of the ability. MJJ: This seems strong with Creeping Chill. EVL: Good point, Mons. That seems within reason though. Doom Whisperer was created to give players a way to surveil at any time during the game. Want to trigger surveil rewards at instant speed? Doom Whisperer to the rescue! The interesting thing about this giant flying monster is the fact that it can activate its ability without paying mana or having to tap. Most repeatable effects these days have what we call a "gate." No, not like the lands that enter the battlefield tapped. A gate in the sense of a doorway that you need to pay a cost to walk through. Commonly, these gates come with a mana cost or something that makes it otherwise difficult to repeat. Doom Whisperer lets you surveil endlessly . . . or until you're out of life points. ELI: Could we consider "Destroy target creature an opponent controls"? If you click the creature you want to sacrifice first in Magic Online or MTG Arena, you can easily end up fizzling the spell. ALLI: Seconding Eli. The Fling problem gets lots of people on MTGO regularly. NKM: Erik okays destroying an opponent's creature. NKM: Gaining life based on the sacrificed creature encourages meaningful sacrifice. Another instance of templating to make life easier in digital Magic. There is a small cost here in the case of Severed Strands. You will not be able to sacrifice your creature to destroy a creature you control, gaining the life when your opponent has an empty battlefield. This was done so that players would not encounter the current problem that sometimes happens with cards like Fling where it is easy to mix up whether you are sacrificing or targeting a creature. What are your thoughts on changes in Magic design that care about these kinds of things? TABAK: Erik, confirm target opponent over each opponent? Other cards in this set (and recent sets) use "each." DOUGB: For a lot of Commander games, this is game over out of nowhere. JDR: I also think this is more fun as target opponent. NKM: Is this a very efficient win for a Balustrade Spy/Undercity Informer–type combo deck? I.e., mill yourself, Dread Return this, and win? This could free up a lot of spots in that deck. ABRO: Discussed how this would impact Oops All Spells; freeing up two slots does not move the needle much. ABRO: How many creatures are in your graveyard? Oh, I got a Lotleth. NKM: Now "target" opponent instead of "each." Often, we take care to design certain cards that excite a wide range of players and cater to many different play styles. Recently, you have likely noticed an increase in the templating "each opponent" instead of "an opponent" or "target opponent." For competitive 1v1 matches, this is largely the same thing, so it makes sense to template some cards to enjoy the added power in games with more than two people. Occasionally, though, this is not appropriate. Too many games were ending in an unfun way when Lotleth Giant could hit a lot of players. Finally, we see diligence here ensuring that Eternal formats are properly supported. ABRO: Preserving Goblin here is important. NKM: Firebreathing -> 1R: +2/+0. Should be slightly stronger in multicolor decks. Flowstone is an old ability meaning "1: +1/-1 until end of turn" and firebreathing is a red ability that reads "R: +1/+0 until end of turn." Firebreathing is strong in a mono-red deck but slightly weaker if you want to run a Boros or Izzet aggressive deck. Since Guilds of Ravnica is a multicolor-focused set, we wanted to give you rewards for branching out into other colors. With a slight tweak to firebreathing, the card was able to remain strong in mono-red while shining when played with a second color. EVL: Trying out an uncommon that can be played in a one-game match. NKM: Templated as modal, looks like Disciple of the Ring. ID: DSJ suggests 1R 2/1 and one to sac so three-color decks have better access. ABRO: Buffing to 1R 2/1 so more decks can play it, per FFL. NKM: I think this card makes it into some Vintage decks. The utility is spot on. ABRO: Now can kill Karn. NKM: Now a 2/2. Probably not a Wizard. TABAK: This little Goblin holds the power to defeat one the Multiverse's most ancient and powerful beings? Story Spotlight? ELI: Ugin really hates fireworks going off when he's trying to sleep. NKM: Second mode now "colorless nonland permanent." Still kills Ugin. Not everyone has time to build a sideboard and play a best-of-three match. Goblin Cratermaker is for Magic players who want to sit down and battle quickly. For players who desire to play traditional matches, having a main-deck answer to problematic permanents can also be a boon. Watch out, Karn and Ugin! NKM: Now has hexproof from artifacts and enchantments. ABRO: Was a 5/5 and was hexproof from artifacts and enchantments. ABRO: Now a 6/6 and can't cast noncreatures. NKM: Any player may activate ability, full hexproof. From Erik and mythic wall comments. ID: This looks good where it's at, conditional hexproof is preferable. The Future Future League wanted a card that would be effective against control decks but specifically did not contain the text "can't be countered." At this time in development, we also noticed a rise in popularity of Hollow One decks in Modern. Say your opponent casts a Burning Inquiry hoping to cast a cheap Gurmag Angler—slam this free Ferox onto the battlefield! The mythic wall is a place where we post oversized images of all the mythic rare cards in a set. Members of R&D are encouraged to walk by and leave comments, much like how they do here in Drake. GSV: Trying a version of Lockets that are a bit different at Ken and Ian's suggestion. Now four mana to draw two. EVL: Now 2CD to sac. KEN: Now CCDD, T: Sac to nerf in soupy five-color decks. EVL: Now HHHH to sac; stronger in two- and three-color decks, still tough for five-color decks. A note on notation: The letters C and D stand for two different colors, though not any colors in particular. Here, that would be white and green. H stands for a hybrid mana symbol, but again not any specific combination. We knew we wanted to keep the Signet and Cluestone mana rock evolution going from earlier Ravnica sets. In practice drafts, these were stronger in five-color decks than we liked, so the color restriction to sacrifice them was developed to be more attractive for the correct two-color combination. KEN: Played great to me. KEN: No longer gives toughness but gives trample and lifelink. KEN: Was trample and lifelink, now vigilance and menace, take that. NKM: Swapped order of vigilance and menace. But why Nat? Why would you switch the order of vigilance and menace? Well, in general when a card is templated, the abilities are written in the order you are likely to care about them on a given turn. If a creature has both vigilance and menace, you need to know that a creature does not tap to attack before your opponent needs to know that they must block with two or more creatures. Be careful! There are loads of exceptions to this rule, depending on how many other abilities or text a card has. Don't hate. KEN: Love this card over Terramorphic Expanse/Evolving Wilds, Shimmering Grotto. KEN: Now a Gate! Maze's End players rejoice! ELI: Now these Gates go to eleven. Lovers of gates everywhere are blessed with the elusive and rare eleventh Gate. Most sets have a common multicolor land for Limited mana fixing. This time, we seized the opportunity to print a new version that would not only synergize with cards in the set but also capture the feel of Ravnica itself. Oh, dear, out of time again! Come back next week when we take a look at the multicolor cards from Guilds of Ravnica.